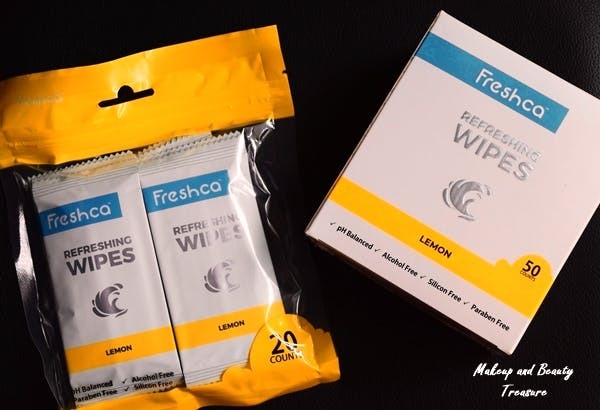 Freshca has some of the best facial cleansing wipes I've tried so far. They are available in three variants - Lemon, Orchid, and Floral, so take your pick. The best thing about these wipes is the sachet packaging. Usually, wet wipes dry out within seconds of opening the package but you won't face that issue with these. Each wipe is neatly packed in these easy-to-open sachets. You can buy these wipes through their website.